Poles-a nation under the cruelest occupation during II WW-were accused by some for not adequate help to Jews. Some even accused population of the conquered land, with no collaboratory representation-of a collaboration with their own oppressors against Jewish minority. 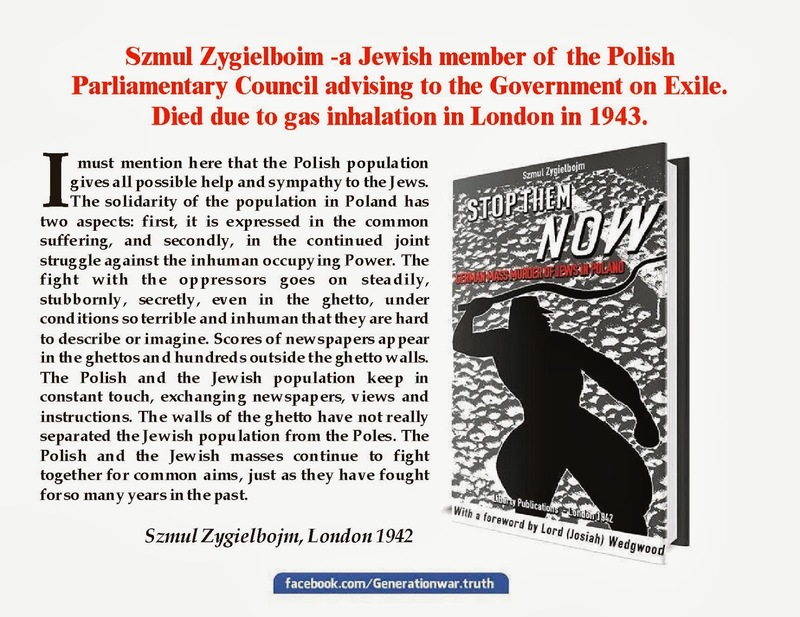 The real description of facts and daily events in the occupied Poland, given by a Jewish witness-the political representative of Polish Jews party-was dismissing any such oppinions.